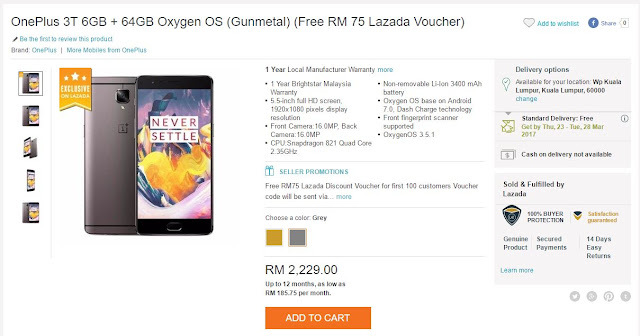 The OnePlus 3T will officially be available in Malaysia from tomorrow, but it appears e-commerce giant Lazada is already offering the device at a more attractive price. As part of its pre-birthday sale, the OnePlus 3T can be purchased at RM2,095.26 – exactly 6% off the RM2,229 retail price. This discount will only be reflected when adding the product to cart, so don’t panic if the offer does not show on the product page.